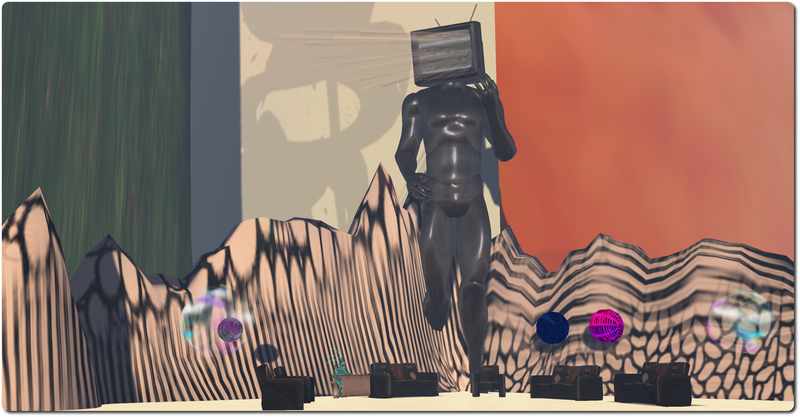 Two new installations have opened at the Linden Endowments for the Arts (LEA) of late; one as a part of the LEA’s Artist In Residence (AIR) series, and the other being the latest in the Full Sim Art series sponsored by the University of Western Australia. 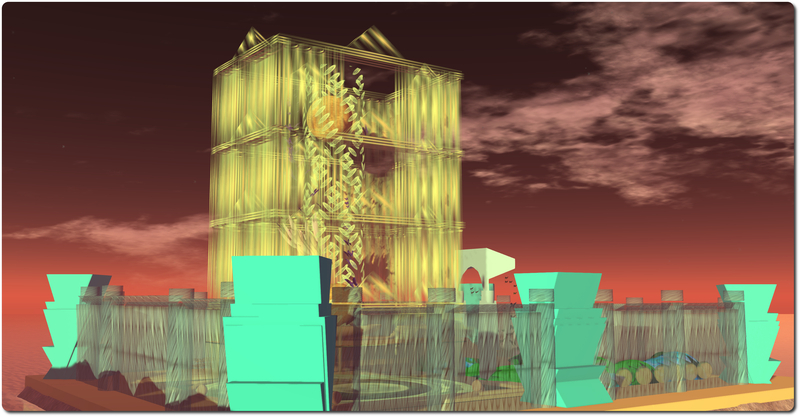 Spirit Within, the Full Sim Art piece, is by Lagu Indigo and Stardove Spirit, and is based on a “life death” experience, which transports you to a walled garden surrounded by light and water. Within this garden sits a tall, translucent temple, the steps leading up to it bordered by amorphous forms, while before and within the temple, butterflies rise into the bright sky. Note that applications are being sought for the December 2014 and January 2015 Full Sim Art slots. Interested artists should contact Jayjay Zifanwee, indicated their preferred month. David Searby Mason – known as Searby in-world, offers a very different experience in his AIR piece. Do make sure you have sound enabled when visiting (and wear headphone if you have them). The recommended time-of-day for the installation is either sunset or midnight. Called simply Searby’s, the installation comprises three individual parts. At ground level is the Welcome Area, where visitors are invited to spend time relaxing in a watery environment from which rises a rises of low hills covered with geometric patterns. Multi-hued spheres and shapes roll, drift and slide over and above this landscape, and visitors are invited to interact with them. Two teleport spheres at the arrival point will carry you up to the remaining parts of the installation. The first of these is Sound Spheres – and you definitely will need local sounds on for this. 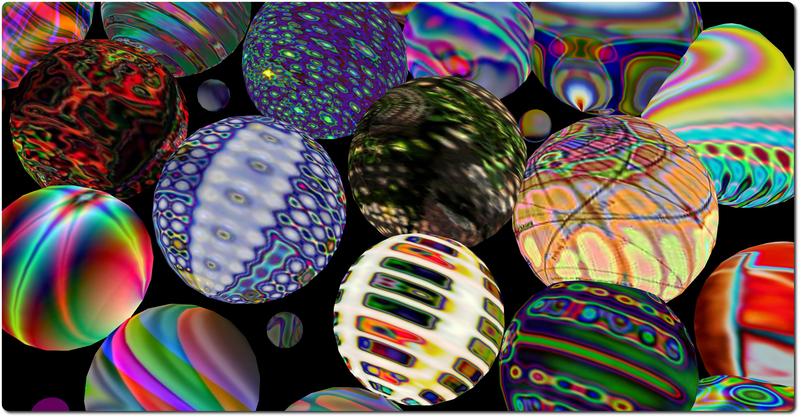 As the name suggests, it comprises a series of sphere of various sizes, all rotating on the spot, each displaying a quite psychedelic pattern of colour and light as it does so. Walking through a sphere triggers a unique sound: a tone, an electronic chord, voices, footsteps, excerpts from compositions, and so on. 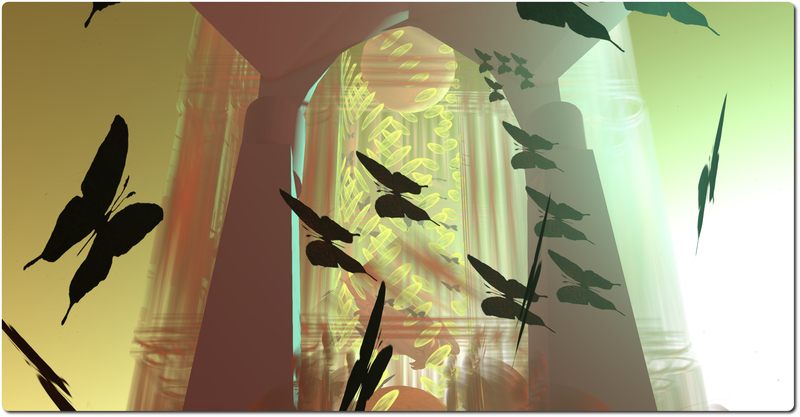 So wandering the space results in an interesting aural as well as visual experience. The second teleport (you’ll have to return to ground level via the all white sphere in order to travel between levels) take you up to Seahorses, a huge kaleidoscopic display focused on seahorses, and which is most certainly bet viewed in the suggested windlights of sunset or midnight. 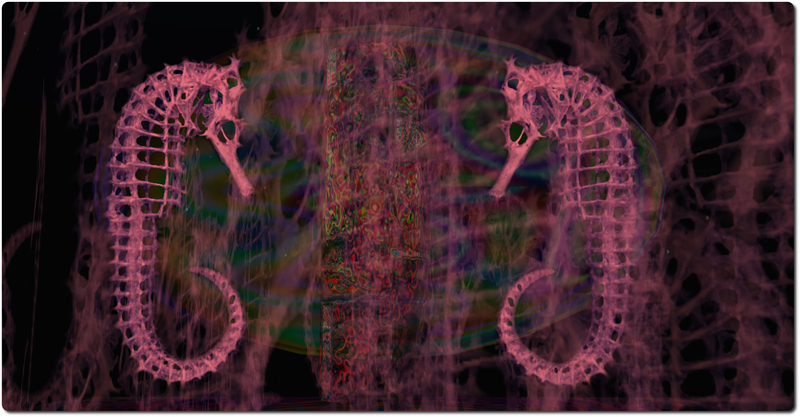 “The Seahorses are also designed to walk through like the spheres but here the visual aim is different. I wanted to create a ghostly feel to add another dimension to the sounds,” Dave says of this part of the installation. Viewing the piece at midnight and running, flying through the display certainly achieves that; the seahorses seem to transform into ghostly forms drifting by or perhaps elements of some strange, otherworldly spider’s web, while the sounds they trigger all blend and mix to create a constantly changing sound scape for as long as you are moving. Searby’s will remain open until the end of December.